A new process-based model represents global changes in sediment and particulate organic carbon levels due to soil erosion, an important missing piece in Earth system models. Soil erosion models evaluate the process of sediment and particulate organic carbon and nutrients detaching from the soil matrix by rainfall and runoff, ultimately entering rivers that carry them to coastal zones and oceans. Enlarge Image. Around the world, sediment left behind from soil erosion leads to environmental impacts such as reduced organic nutrients in the soil, degraded water quality, and increased flooding. However, the impacts of sediment yield on the global carbon cycle remain largely uncertain. This is because, until now, computer models that simulated Earth systems lacked a way to represent soil erosion processes. In a recent study led by scientists at the U.S. Department of Energy's Pacific Northwest National Laboratory, researchers developed a new process-based model that can represent detailed variations in sediment, organic carbon, and nutrient yields across space and time in Earth system models. The input of organic carbon from land to oceans through river transport is a key component in the global carbon cycle. Increasing observational evidence suggests that land-based carbon is biogeochemically modified on its journey to the oceans. A large fraction of this altered carbon comes from soil erosion. With the new process-based model of sediment and particulate organic carbon yields, Earth system models can better simulate erosion-induced organic carbon and nutrient fluxes and how they may change in the future. Sediment yield is a ubiquitous process in which sediment and particulate organic carbon and nutrients are detached from the soil matrix by rainfall and runoff, ultimately entering rivers that carry them to coastal zones and oceans. Observation-based estimates showed that soil erosion may have caused a loss of the net global production of terrestrial ecosystems by as much as 13.5 percent. Episodic erosion also delivers a punctuated sediment supply to river channels and imposes risks to property, human lives and aquatic habitats. However, this important process is rarely represented in Earth system models because of the difficulty in capturing soil erosion and sediment transport which vary greatly across space and time. Thus far, existing sediment yield models have not been tested at scales—ranging from several to hundreds of square kilometers and from daily to sub-daily—that Earth system models can resolve. To remedy this situation, scientists reimplemented coarser versions of eight well-known sediment yield models to be compatible with Earth system models. They then compared their performance over 454 small catchments with various environmental conditions. Their analysis identified the simple Morgan model as superior to other models in simulating the spatial variability of sediment yield because of a more realistic representation of runoff-driven soil erosion. However, they found some errors in the Morgan model associated with a lack of landslide processes and from treating the effect of runoff driven by snowmelt and rain on soil erosion the same. 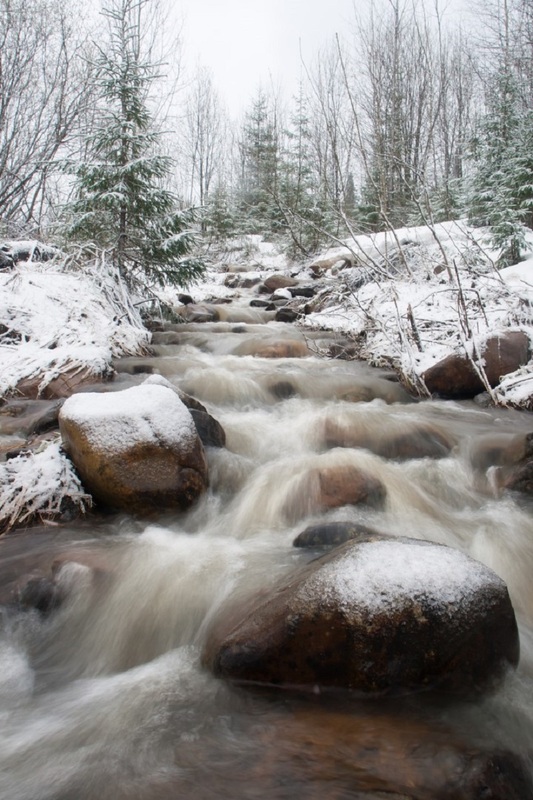 Based on these findings, they developed a new model that removes snowmelt-driven runoff in hillslope soil erosion modeling and also includes a landslide model. The new model more accurately captured 57 percent of the spatial variability of the measured sediment yield in the 454 catchments. It also reproduced the daily variability of sediment yield in six cross-validation catchments. This study and the resulting model fill an important missing gap in understanding global carbon cycle processes. Sponsors: The U.S. Department of Energy Office of Science Biological and Environmental Research program supported this study as part of the Earth System Modeling program through the Energy Exascale Earth System Modeling (E3SM) project. Z. Tan, L.R. Leung, H.-Y. Li, T. Tesfa, "Modeling sediment yield in land surface and Earth system models: Model comparison, development and evaluation." Journal of Advances in Modeling Earth Systems 10 in press (2018). [DOI: 10.1029/2017MS001270].